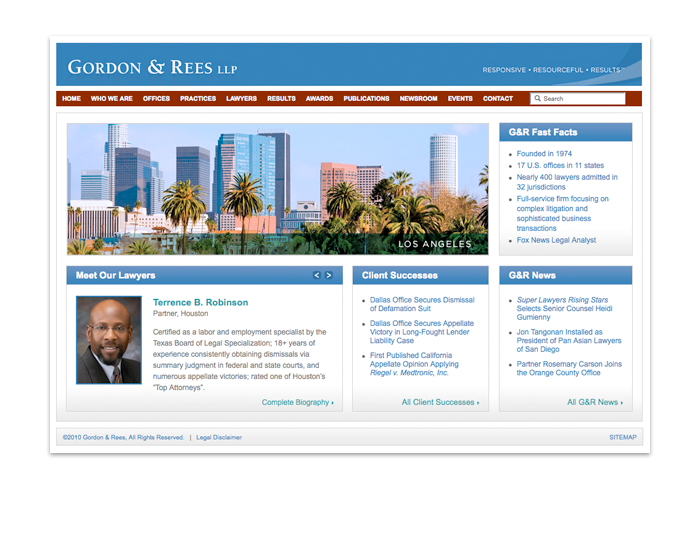 After the successful implementation of their website, Gordon & Rees hired me to design their Intranet portal, which is their internal website which is used to help manage cases, collaborate, and to keep up with all the news and happenings of this large, multi-office law firm. 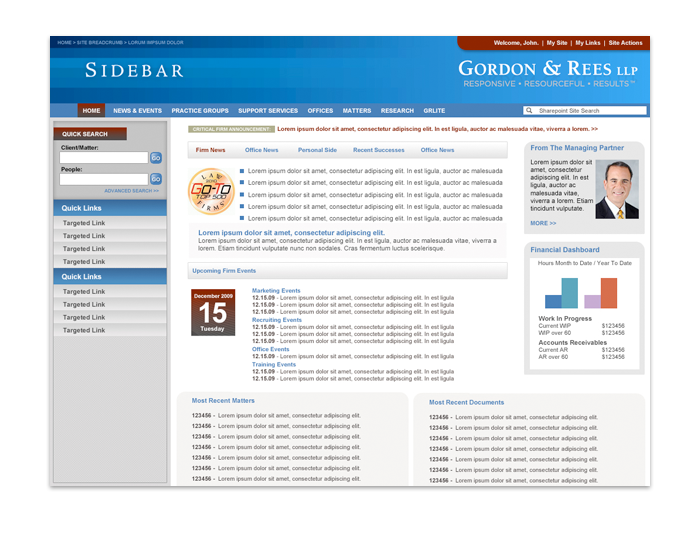 Intranets are very common for larger companies located in multiple places. They are essentially the same as websites in term of how they are built and managed, however, they are generally restricted to internal networks and are only intended for employee use. Note that due to the proprietary nature of the content, I've used fake text for this mockup.